LOUA has the place, date and time set for Earth Day at Glen Echo West: Saturday, April 25, 2015, 9-11am and 1-3pm. Click here to volunteer. Once you open the page, you’ll volunteer by clicking on the date in the box. Finally, Spring is here…sort of. We’ve seen a few signs of plant life in our yard: the snow trillium have bloomed as well as the poor hellebores, which looked as if someone had poured hot water on them. We were concerned about one that came from Pete’s Aunt Rose, but it is coming back. We didn’t want to lose that one, as it came from her yard after she died. It has come full circle, because we bought the plant in Columbus, took it to Connecticut, then brought it back to Ohio. 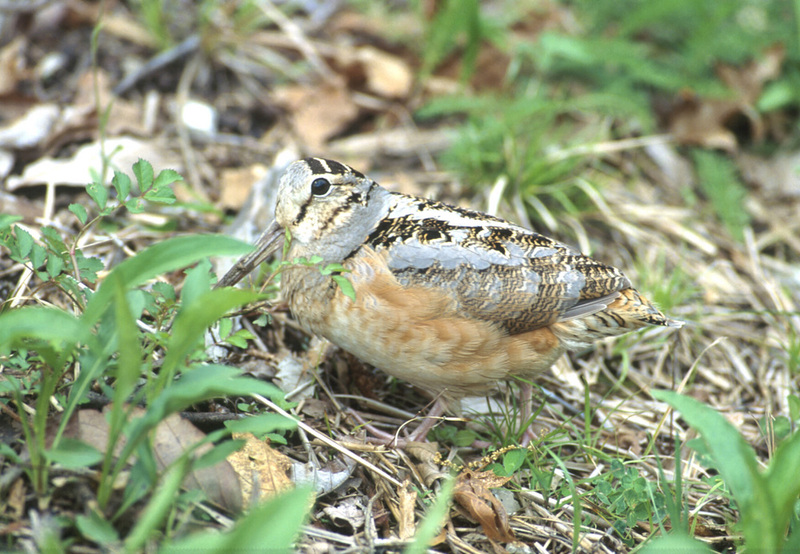 Also, the big news in Glen Echo was a sighting of an American Woodcock. 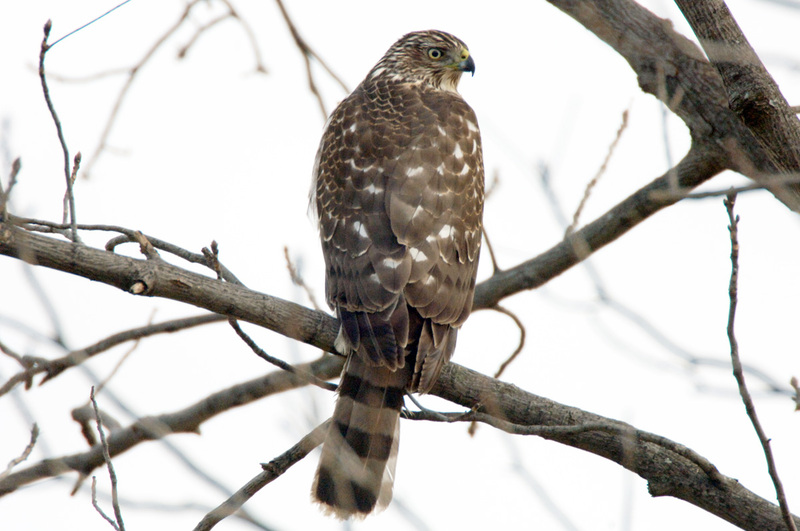 Pete says they are not typically found in urban areas, and this sighting, according to John Finn (of the Glen Echo Bird Club), is the first time this bird has been sighted in Glen Echo Ravine. Of course, it was our own Mike Graziano who saw the bird. So what does this have to do with trees and the Arboretum? 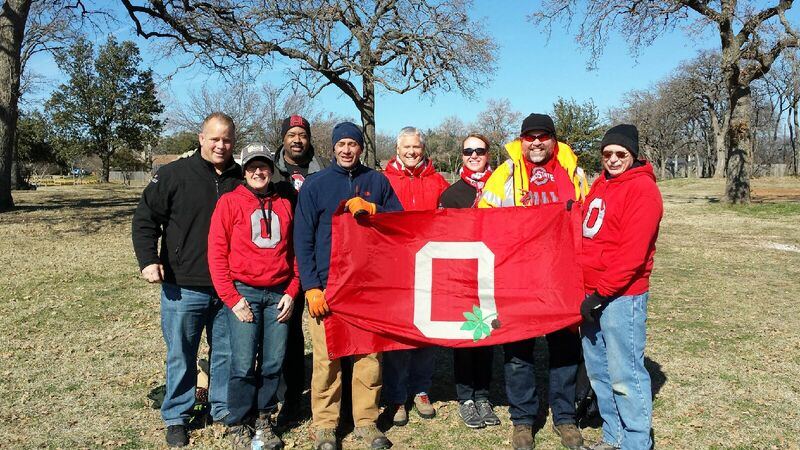 Well, Ohio State’s Chadwick Arboretum Tree Planting team took home a win of its own in Arlington, TX. 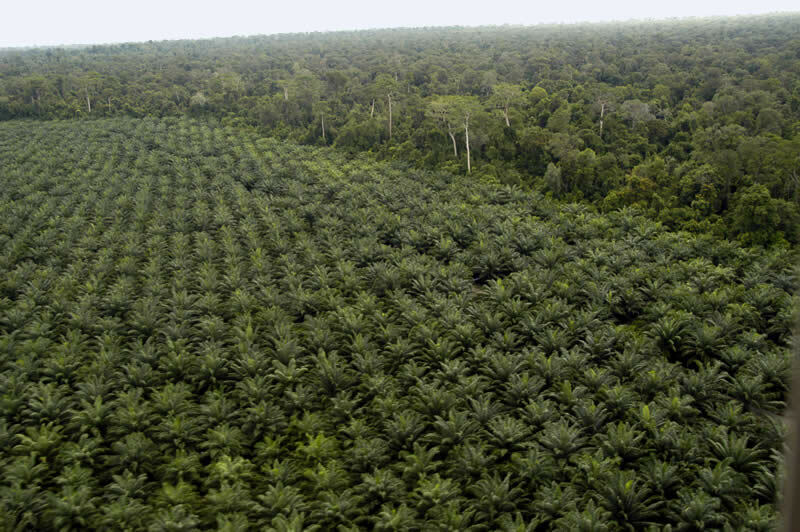 Horticulturists from Ohio State, Oregon, Florida State, and Alabama competed to see which team could plant the most trees, with the Ohio State team winning first place. 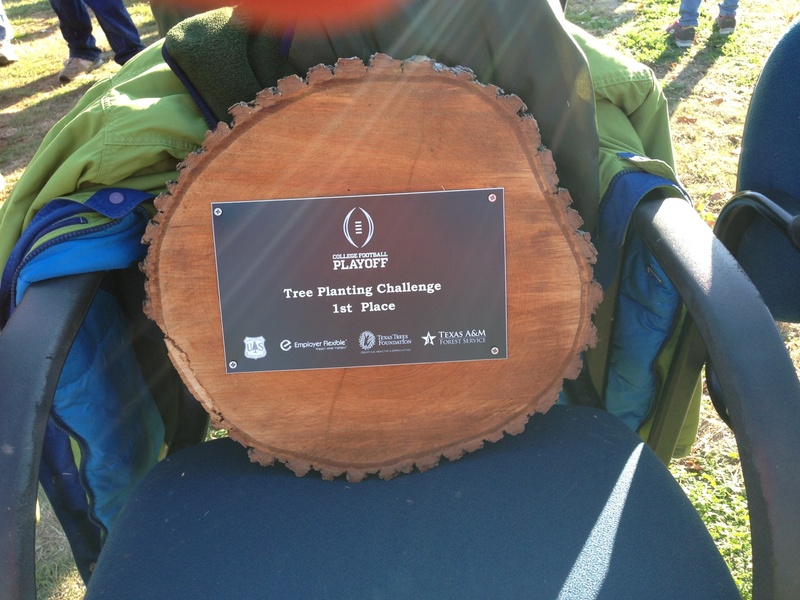 The tree planting, which took place at a new park, was part of The Playoff Green program, a group of sustainability projects developed around the college football playoffs. The program is meant to help offset the environmental impact in Arlington of hosting the college football championship. Here is a photo of the tree planting team. From the left: Mike Boren (father of the 3 Boren Brothers who all play/played on the OSU football team); Christine Voise (Chadwick Arboretum GIS and Accessions Specialist); Mitch Gatewood (OSU Alumni from DFW area); Mike Pfeiffer (Chadwick Arboretum Horticulturist); Ray Kreutzfeld (OSU Alumni from DFW area); Christy Dudgeon (OSU Alumni and VP of Grass Groomers); Steve Schneider (OSU Landscape Planner and ISA Certified Arborist); and our own Dan Struve (Emeritus Professor of Horticulture and Chadwick Arboretum Volunteer). All I can say is, we could sure use a team like that for LOUA when we are planting trees! Congratulations on both Ohio State wins! Then our neighborhood hawk was back at it at the Bird Bush Deli across the street, looking for his dinner. The neighbor’s cat was in on the fun, hoping to get a stray bird or two. Hope your New Year got off to an exciting start, too! Sorry it’s been so long since my last post! November was very busy and just slipped away from me . We spent the first part up in Michigan, staying with my brother in Saginaw for his birthday (always a great time!) then travelling farther north to Grayling and the Lake House with Dan, Mike and Auki. 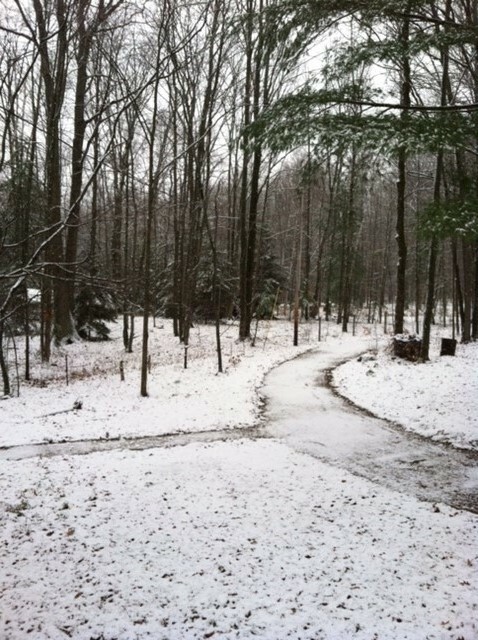 We had a nice dusting of snow (about four inches) that made for the most wonderful walk in the woods. There is something about snow and woods. The silence is so peaceful, and where their house is, there is no traffic sounds, so I could actually hear the snow falling. Amazing! Then, of course, it was Thanksgiving. My mom came down for a few days, and it was so nice to have her visit. We mostly just spent time eating (and talking in between mouthfuls), although we did venture out on Black Friday for the first time in about 30 years! We went later in the afternoon and had no trouble finding a parking place or having to wait in line; in fact, the most annoying part was the clerk who said I had to take a plastic bag for my purchase. I don’t usually do so, but he said he’d get in trouble for letting me out the door without a bag, so I let it slide. But other than that, it was a nice few hours shopping. To be honest, I most likely won’t do it again for another 30 years! 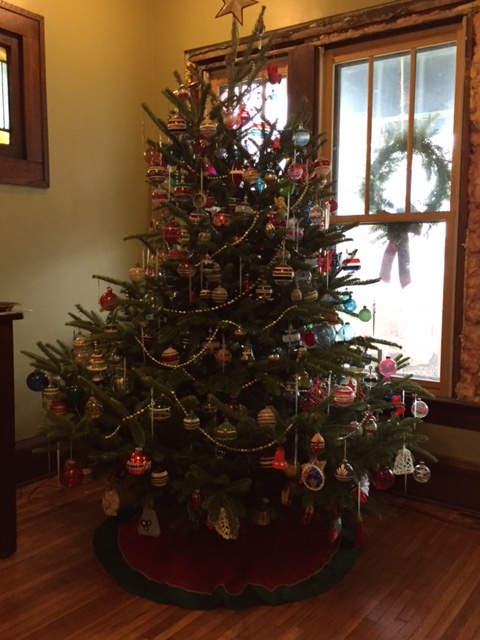 Next up on Thursday is getting our tree from the Ohio State Forestry student organization. They do have nice trees from Ohio and freshly cut. 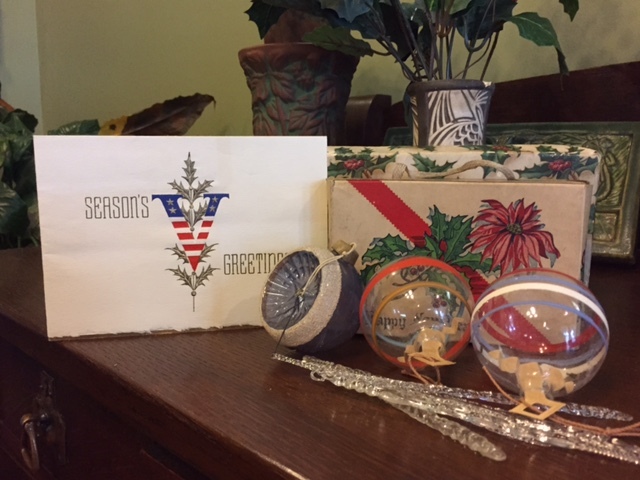 I managed to find a few more WWII ornaments at Scott’s Antique Market, but Pete and I are beginning to think that I’ve bought most of them in Ohio! I got some in Findlay that are my favorite: red, white, and blue, and the accordion hanger. As I place them on the tree, I always wonder about the person who originally bought them. Speaking of history and Ohio State, there are so many trees on campus of significance. For example, there is a massive sycamore in front of Hopkins Hall that is estimated to have been there since before the U.S. Constitution was signed. Another tree near Thompson Library was given to Jesse Owens at the 1936 Olympics in Berlin, and two sycamores, near the football stadium, marked the Underground Railroad trail. Another one of my favorites is a beautiful oak planted in honor of a WWII soldier who died in Normandy. Trees have such history and bring so much to future generations. And I’m thankful to have been a part of that with our arboretum. 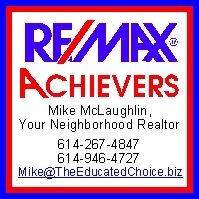 We’ve left a lasting legacy for future residents of Clintonville for generations to come. 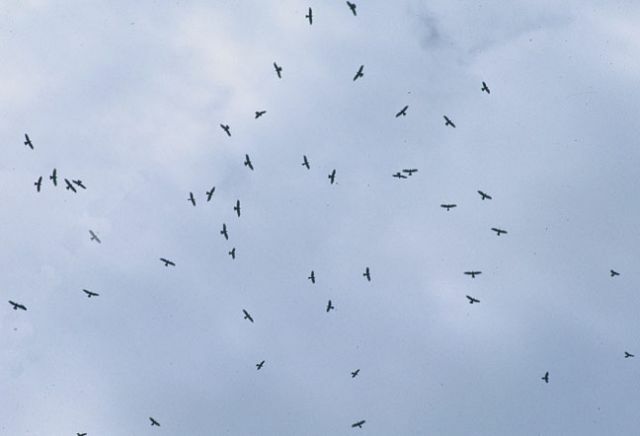 Did anyone else see all the migrating buzzards this afternoon over Clintonville? I was outside, putting up the Halloween lights, when I looked up and saw a group of large birds flying overhead. It was really beautiful to watch: a real buzzard ballet! The buzzards were circling and spiraling up and down. Then they went off to the south. I wasn’t sure what the birds were at first because I didn’t see the “fingers” on the wingtips, but Pete said they were buzzards without the wings fully extended. Hinckley, Ohio has nothing on Clintonville!